The new domains are already with us! Find your Internet identity that best fits your products, services and interests. 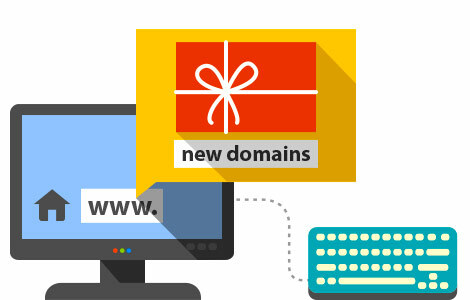 Keep your online territory with specific, targeted domain name. Take advantage of the huge variety of free new names and find the most appropriate and easy to remember domain name for your site. Find the original name for your project and register a new domain quickly and easily! In addition to the most popular areas, such as .com, .net, .org, .info, and .biz, you can register domains in more than 200 other areas with our services. Choose your unique name that will make it easy for people to find you online. Find simple and easy accessible name without specific signs. Find more recommendations for selecting domain at Tips for Choosing a Domain. You can easily transfer and manage your domain with us. All you need to do is observe all requirements for domain transfer. For more details on domain transfer, visit Domain Transfer.